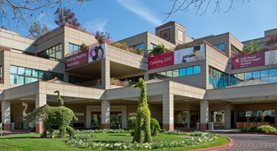 Dr. Eric Bultman is a radiology specialist in Stanford, California and he works at several hospitals in the area, including Stanford Hospital and Clinics and Lucile Salter Packard Children's Hospital at Stanford. He got his diploma from the University of Wisconsin School of Medicine and Public Health and did his internship at Santa Clara Valley Medical Center. 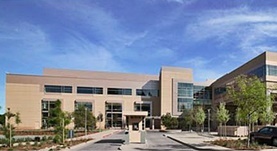 The doctor completed his residency in Radiology at Stanford University. The doctor has an experience of more than 3 years. Dr. Eric Bultman has contributed to 3 publications. Patient and tumor characteristics can predict nondiagnostic renal mass biopsy findings. Prince J Bultman E Hinshaw L Drewry A Blute M Best S Lee FT Jr Ziemlewicz T Lubner M Shi F Nakada SY Abel EJ; J Urol. 2015 Jun . Quantitative hepatic perfusion modeling using DCE-MRI with sequential breathholds. Bultman EM Brodsky EK Horng DE Irarrazaval P Schelman WR Block WF Reeder SB; J Magn Reson Imaging. 2014 Apr . Non-contrast enhanced 3D SSFP MRA of the renal allograft vasculature: a comparison between radial linear combination and Cartesian inflow-weighted acquisitions. Bultman EM Klaers J Johnson KM Francois CJ Schiebler ML Reeder SB Block WF; Magn Reson Imaging. 2014 Feb .